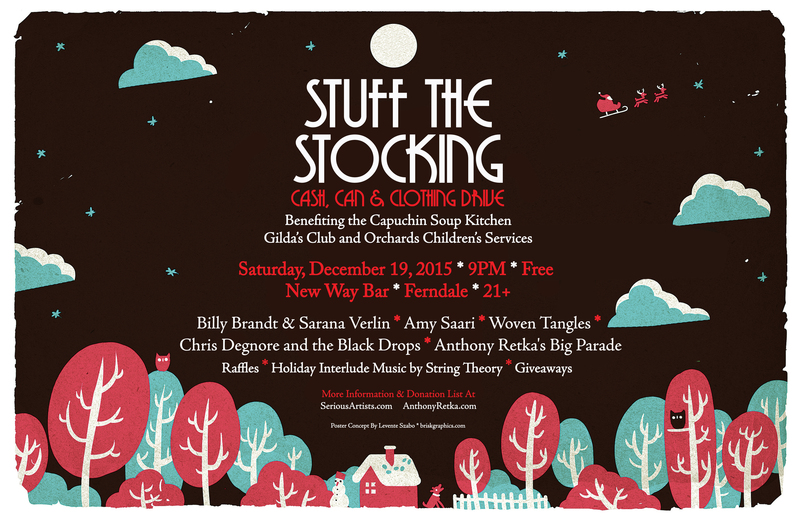 We are pleased to announce the 2015 Stuff the Stocking Event will take place on Saturday, December 19, 2015 at the New Way Bar in Ferndale. Live Music! Raffles! Giveaways! All to help those in need! Donations will benefit the Capuchin Soup Kitchen, Gilda’s Club and Orchards Children’s Services.